The rest of the round – except for that three-putt bogey from 4 feet – was crisp for Koepka considering he had not played since the Presidents Cup. Brooks Koepka of the United States tees off during the first round of the WGC-HSBC Champions at the Sheshan International Golf Club in Shanghai on October 26, 2017. 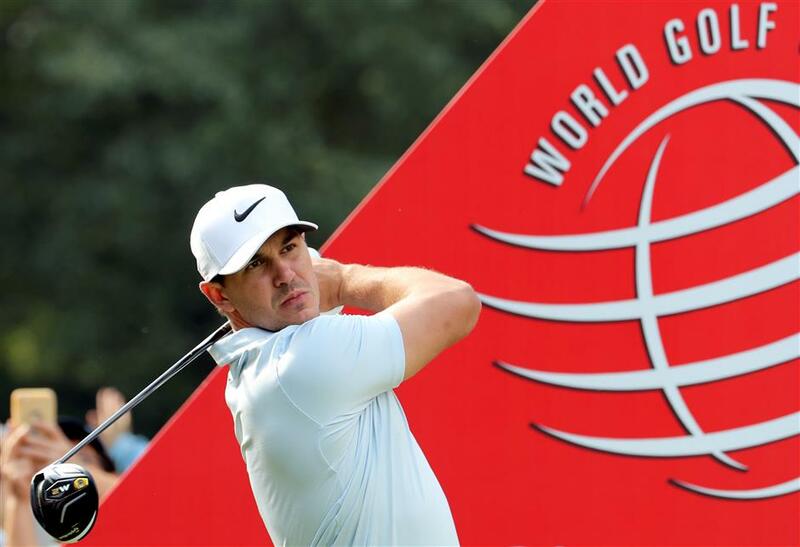 The HSBC Champions is the first stop for Brooks Koepka on his four-week Asian adventure that will include two weeks on the beaches of Vietnam and Thailand and a title defense in Japan. Splotches of mud on his shirt were evidence that it started with a wild ride at Sheshan International in Shanghai. Koepka played so beautifully on Thursday that the US Open champion had reason to believe his 8-under 64 for a one-shot lead could have been much lower. He burned the edge of cup on a few birdie putts, missed one birdie attempt from 4 feet and turned a certain birdie into an aggravating bogey when he three-putted from 4 feet on No. 3. "I felt like I played really well," he said. "I drove it pretty well and putted extremely well except for little hiccup."